Discussion in 'Windows OS and Software' started by jclausius, Jan 10, 2019. A dive into the Windows world / future. Aroc, Vasudev and jclausius like this. Many people were not happy with this move from Microsoft. They were not ready to exchange the good old mspaint.exe with a completely different Store app because the old Paint has its own advantages and Paint 3D does not surpass it in every way. Classic Paint always loaded much faster, and had a more usable and friendlier user interface with superior mouse and keyboard usability. The button is missing in the toolbar. While the change wasn't officially announced, Microsoft might have figured out using the collected Telemetry data that only a small number of users actually use Paint 3D instead of the classic Paint app. So, we will see what actually happens with Paint this fall. What? They have somewhat started use what they have above the shoulders? Shocking! "Microsoft begins work on its 2020 Windows releases in new preview"
- Microsoft has published a new preview release of Windows 10, build 18836, to participants of the "Skip Ahead" group. But it's not quite the preview that they were expecting to get. - today's Skip Ahead release to be a preview of 19H2, version 1909, due in October. But it isn't; it's skipping ahead not one but two releases, all the way to 20H1, due in April 2020. Just in case you were wondering if Windows 10 would be around in 2020. If they don't pull themselves back W10 will be deprecated in favor of Linux. I had enough of Windows 10. Aroc, Raiderman, Papusan and 1 other person like this. "Microsoft just made Windows 10 updates a little easier to understand"
- Microsoft says in the upcoming release of Windows 10 version 1903 it will get rid of the 'Semi-Annual Channel (Targeted)' SAC-T label, making life a little less confusing for admins. 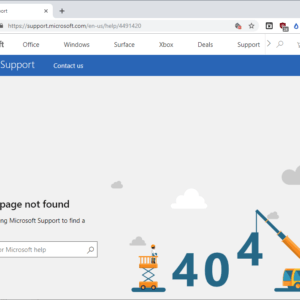 - The move should simplify things for IT pros and users who may have been confused by Microsoft's terminology and what it meant for deploying Windows 10 to devices. Papusan and Vasudev like this. A never ending story... @Ultra Male Why can't Redmond Morons do it properly? On February 12, 2019, Microsoft released a set of cumulative updates for all supported versions of Windows 10. Unfortunately, three new issues were found and confirmed in the released updates. jclausius and Vasudev like this. Nice. Micro$oft use older (still supported) Windows X versions as guine pig for their last new and pretty. Maybe too scared that they could risk screw up Win X 1809 even more if they pulled it out same time as their other Junk? Yesterday Microsoft published cumulative updates for the older versions of Windows 10, but didn’t release one for the latest, version 1809. I take that as a good sign — perhaps Microsoft is letting its 1809 patches bake a little longer. Moral of the story: Don’t click Check for Updates! The Microsoft Update Catalog also shows that several of this month’s Win10 Cumulative Updates were re-issued. Not sure what’s up with that, but it usually means there was a change in the metadata — which means it changes the installation logic. After installing this update, some users cannot pin a web link on the Start menu or the taskbar. Yeah, exactly. Their new trash need more love. @Ultra Male Micro$h4ft need you badly Please download and install (Guinea pig version in the link below). I have disabled all Win10 updates all the time, but error log was showing touchpad driver constantly trying to update, failing, trying again etc. Not knowing any better I decided last night to re-enable auto updates, hoping things get fixed on it's own, before I put auto update block again. Sure enough, as soon as auto update became available I had some driver updates and some critical update. After that I rebooted computer and that was the end of my working system, black screen on the boot up, nothing works. Trying hard resets-no, safe boot - yes once, no boot second time. Had no choice but restore system back few hours and disable auto updates again, so all it's working fine now. All I can say is WTF, but yes, things can get worse. Vasudev and Papusan like this.